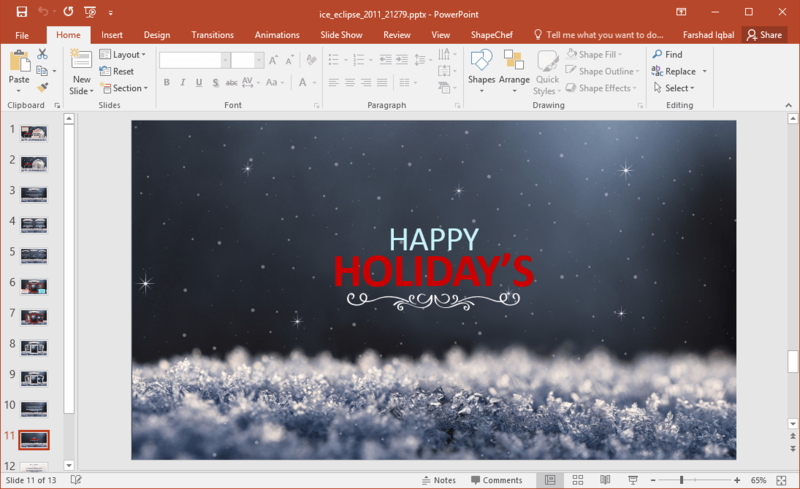 The sample slides echo the Christmas, Holiday Season and winter season fervor. 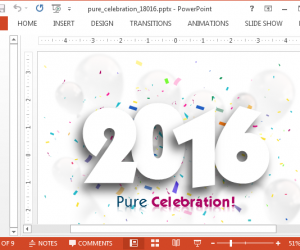 You can also modify these slides to convert this template to a New Year slide deck. 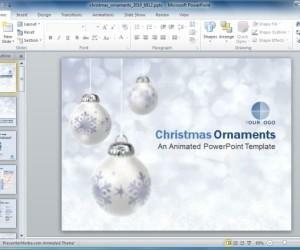 The opening slide comes with the animation of falling snowflakes, with a frozen moon depicted in the backdrop. 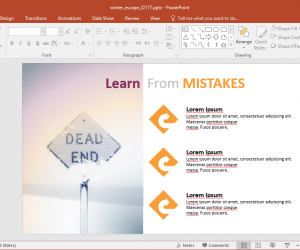 There are slides for making content, comparison, picture and title slides. 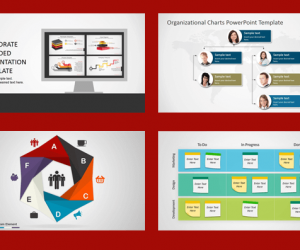 You can also modify these slides to add charts, tables, diagrams and the like. 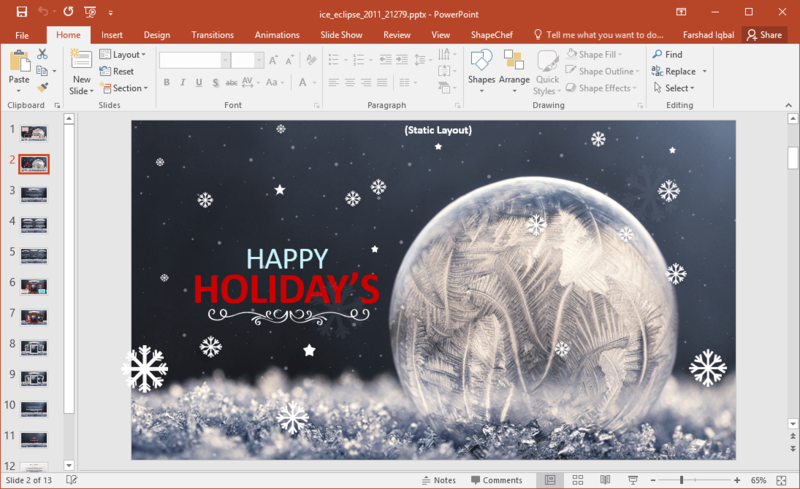 There are a few slides with some frames that can be used for adding your own photos or you can use them for inserting text. These frames can be good for highlighting important information. In fact, you can even use them to depict charts and trends. Since these frames are depicted side by side, you might want to use charts that can act as a comparison of different trends. 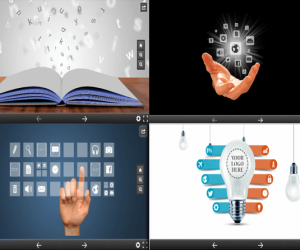 You can also just simply use photos to highlight key events and discuss major achievements of the organization. 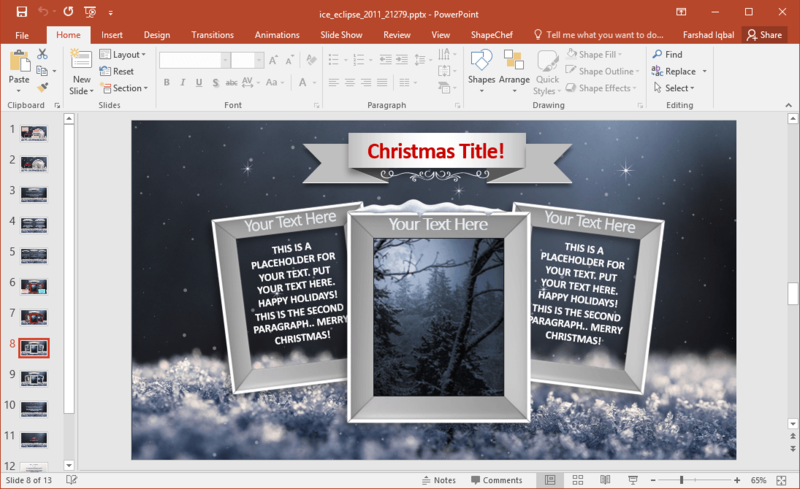 Another use for these slides can be to create family slideshows for Christmas and Holiday Season events. 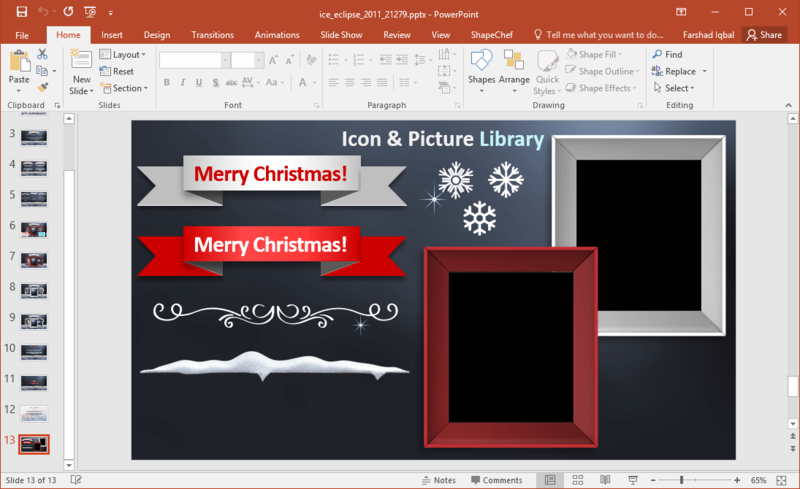 There is a slide with a set of sample icons, frames and text. 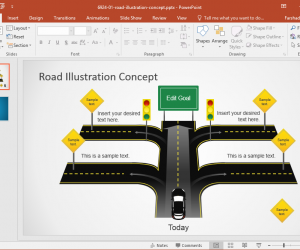 You can use these to design your own version of the given slides. 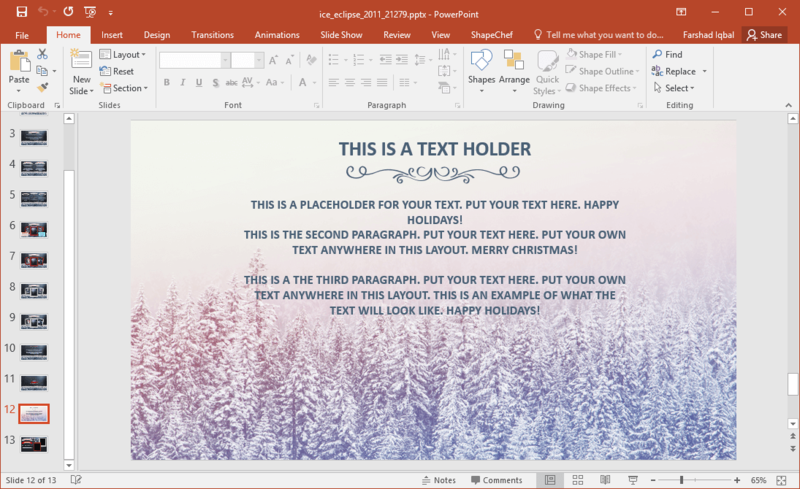 You can copy the text placeholders and edit the text, copy and insert the frames in slides and add your own photos to them and use the snowflakes and other design elements to make your slides more attractive.